BAUER Discharge Valve Kit 014583 - August Industries Inc.
Bauer valve kit 014583 is a complete discharge valve assembly. This kit contains the entire discharge valve assembly. Use the chart below to determine the proper application of this part number. 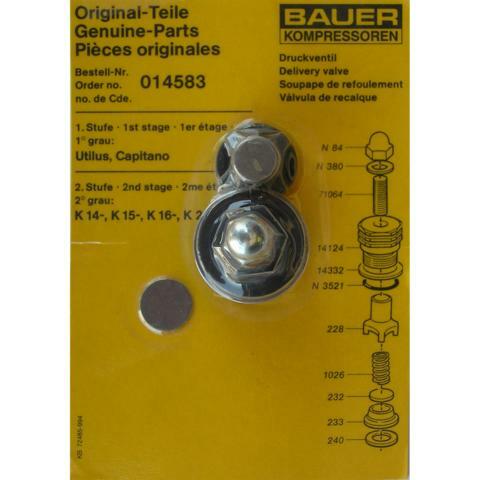 Also available is the sub-assembly valve kit 012840 which contains only the high wear items.